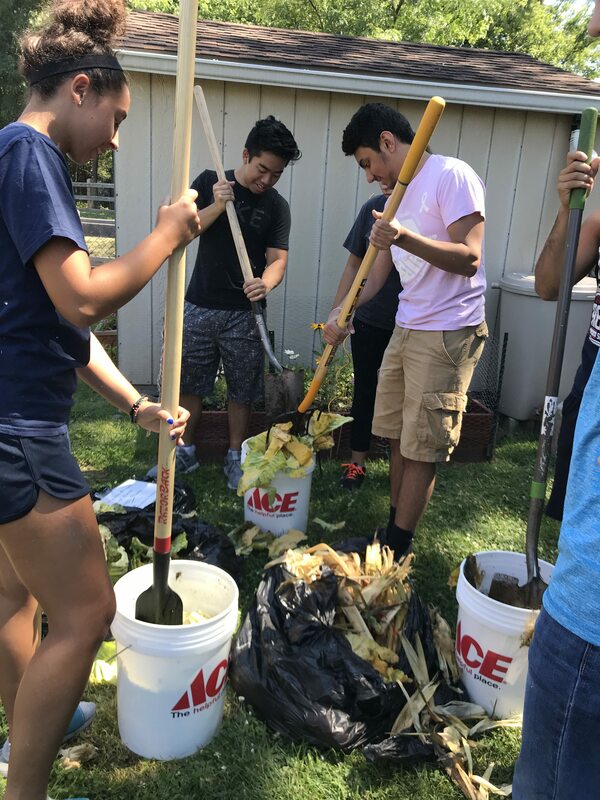 The Lindsey Meyer Teen Institute (LMTI) in Secaucus, New Jersey, has a team of youth this summer developing and implementing an action plan to compost food waste at a local high school. 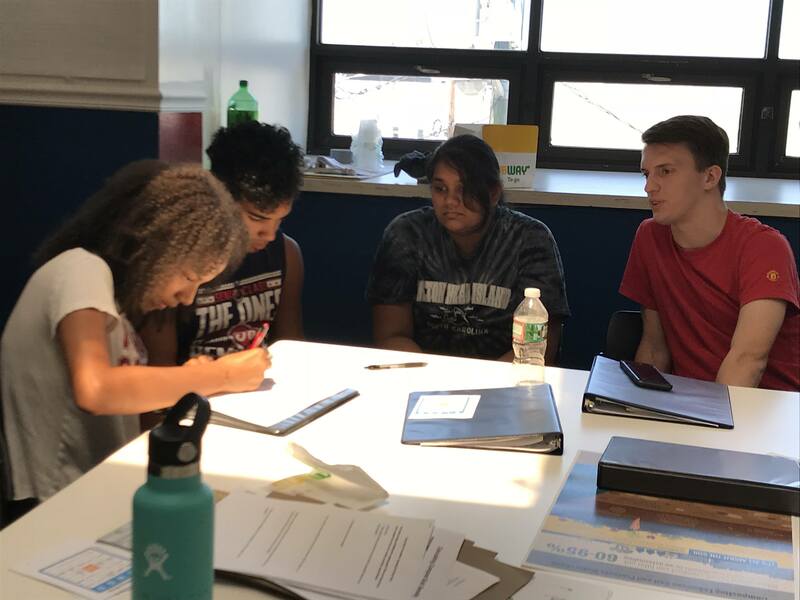 The youth are members of the Next Generation Community Leaders program supported by Partners in Prevention via a grant from New Jersey Health Initiatives (NJHI). 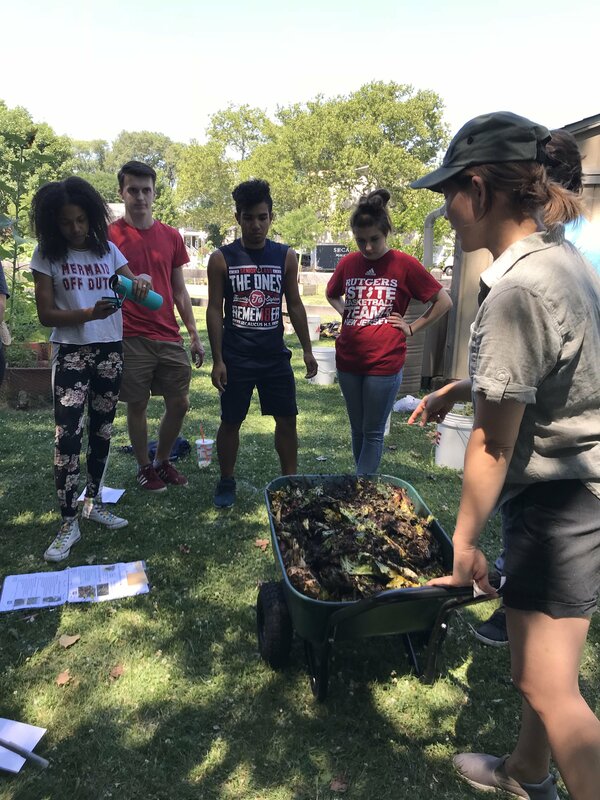 The composting initiative is part of a larger project around youth leadership, the environment, and community health. 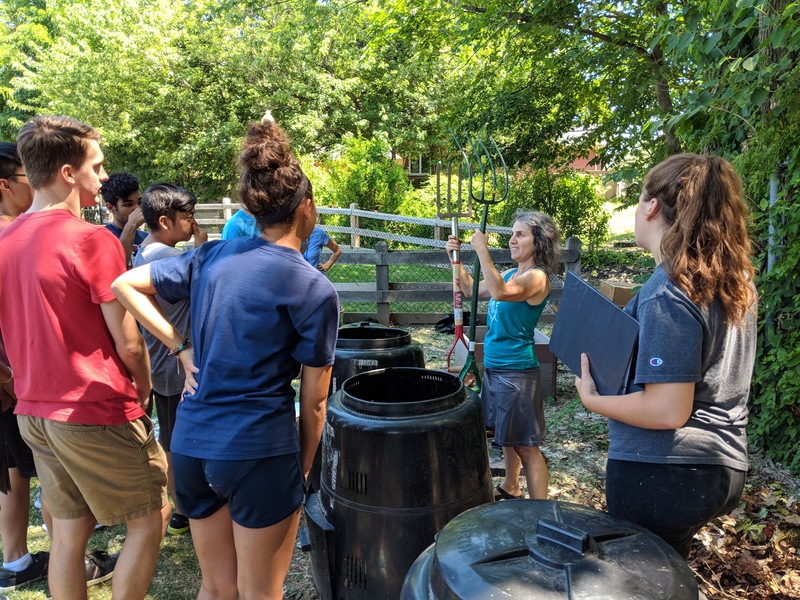 The team’s task this summer: Figure out how to collect food scraps from a local farmers’ market and other sources for composting at an in-vessel Rocket Composter at the school. 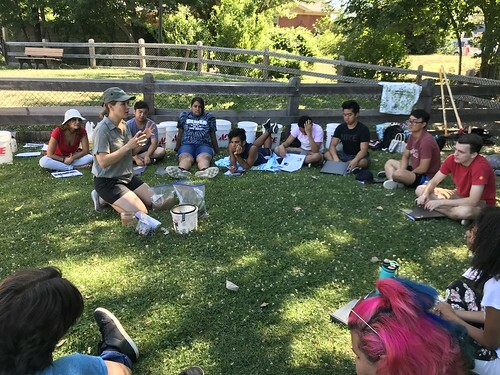 Their first step: Learn the basics of hot composting, site management, and the steps to consider when designing a collection and composting operation. 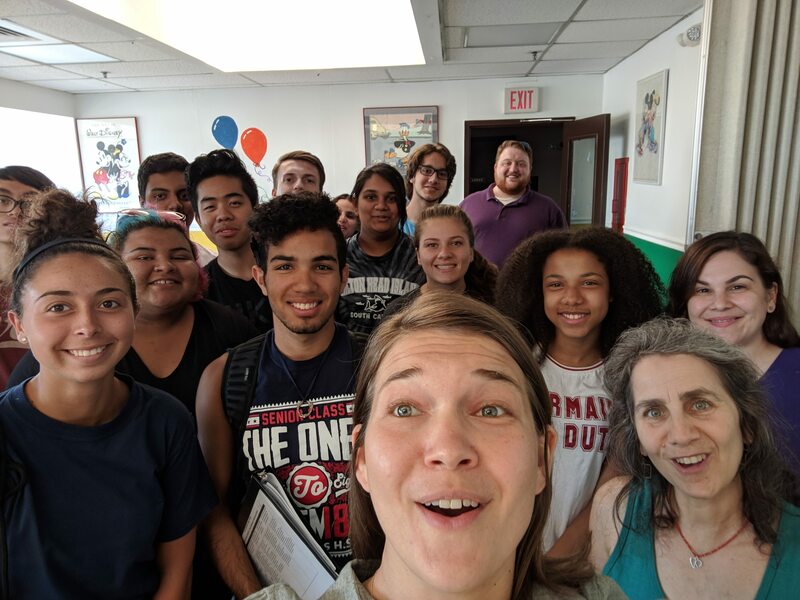 We had an amazing group of 12 highly engaged youth! Follow them on Instagram here. 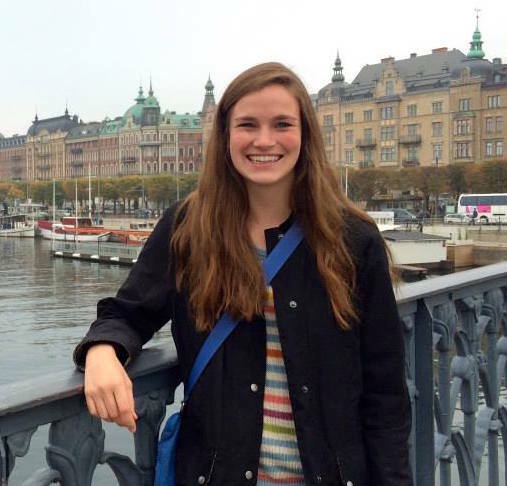 They hit the ground running after only one day of training! 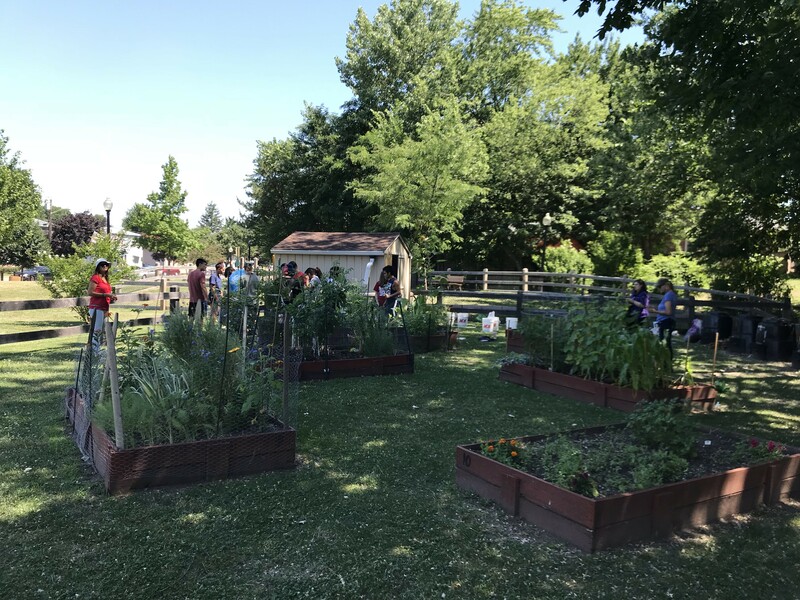 • Developing a Public Service Announcement to raise awareness and educate and encourage the local community to compost food waste; the PSA will be screened at local theaters, outdoor venues, and social media platforms. 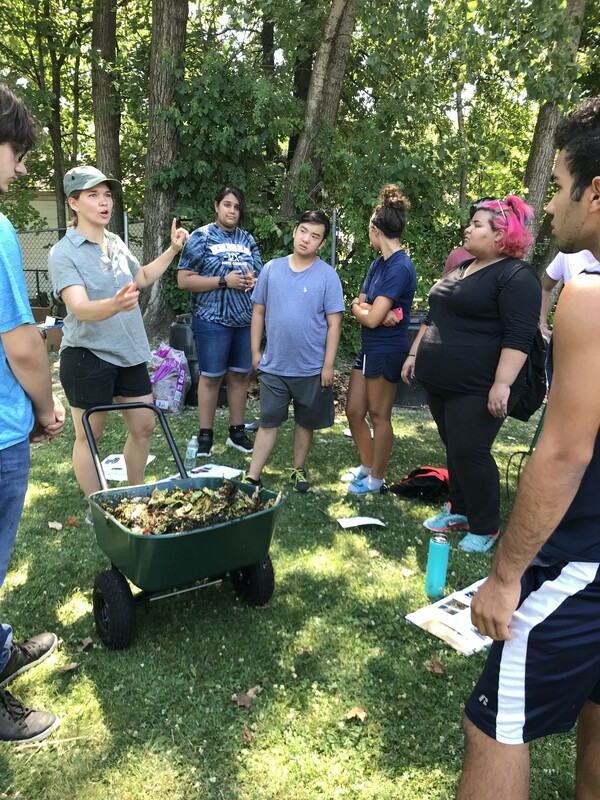 Thanks to the Secaucus Next Generation Community Leaders, (funded by a grant from New Jersey Health Initiatives through the Robert Wood Johnson Foundation), the 11th Hour Project, the Virginia Cretella Mars Foundation, and A Few Cool Hardware Stores for making this training possible! And to the Town of Secaucus Environmental Department for hosting us on July 11th! 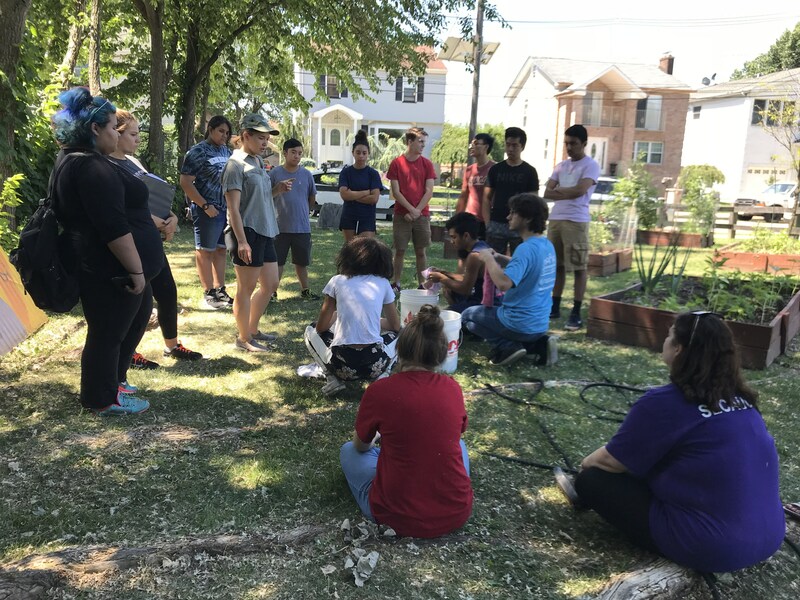 Interested in ILSR training your group? 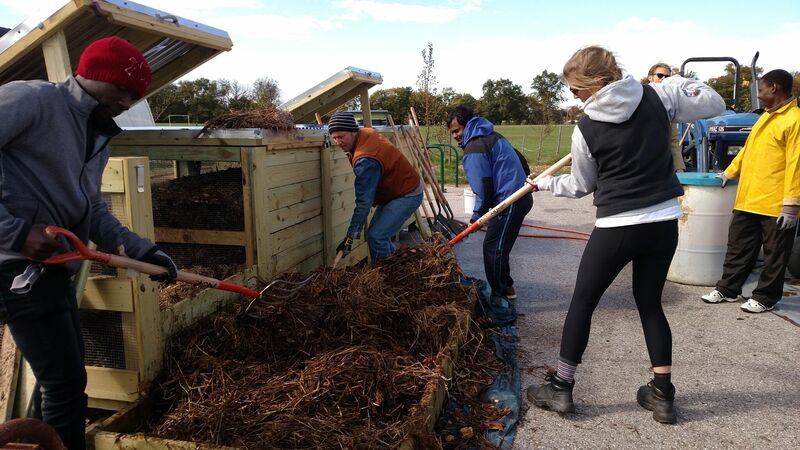 Contact us at composting4community@ilsr.org. 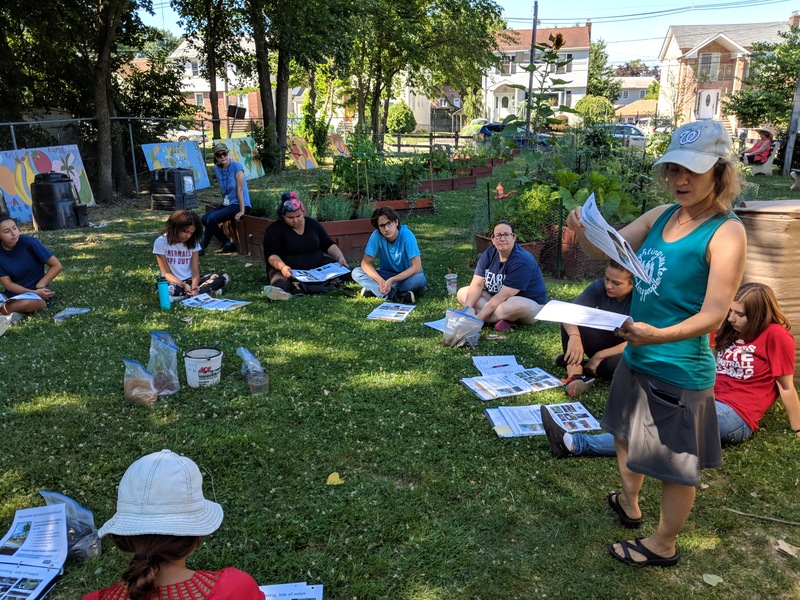 ILSR's Linda Bilsens Brolis works with participants to explore different compost recipes. Participants chop food scraps to facilitate decomposition. ILSR's Linda Bilsens Brolis demonstrates a soil sample test. Participants learn how to test for proper moisture in the compost mix. Garden where we conducted outdoor training. ILSR's Brenda Platt runs through the training outline for the day. 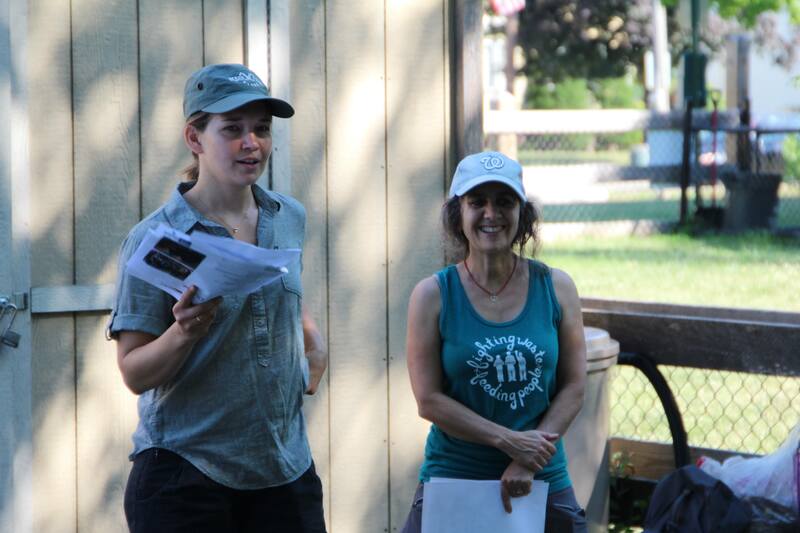 ILSR's Linda Bilsens Brolis compares water infiltration benefits of compost-amended soil. Brenda compares a manure pitchfork to the common garden pitchfork. Which one is better for composting? The manure fork! 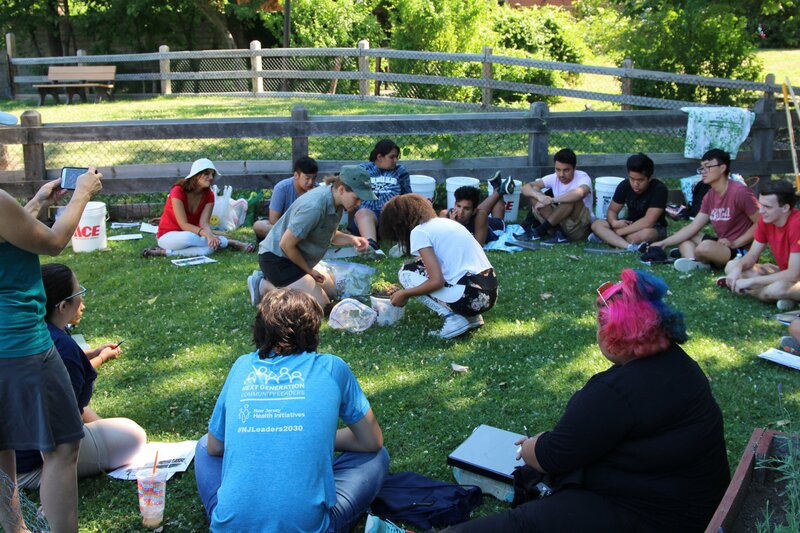 Participants broke into small groups to plan their summer composting project. 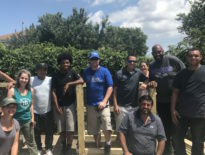 ILSR staff with the youth team and their adult mentors. Linda Bilsens Brolis (L) and Brenda Platt (R), the leaders of the training.